It’s officially cool to be kind, the original win-win scenario that benefits the bestower as well as the people it’s directed at. Studies show that people who demonstrate kindness decrease their risk of depression, since they experience ‘helper’s high’ from a release of natural opiates in the brain. Where kindness involves human interaction, all our personal relationships see improvements. There’s even physical evidence to suggest that kindness strengthens your heart and boosts your immune system. 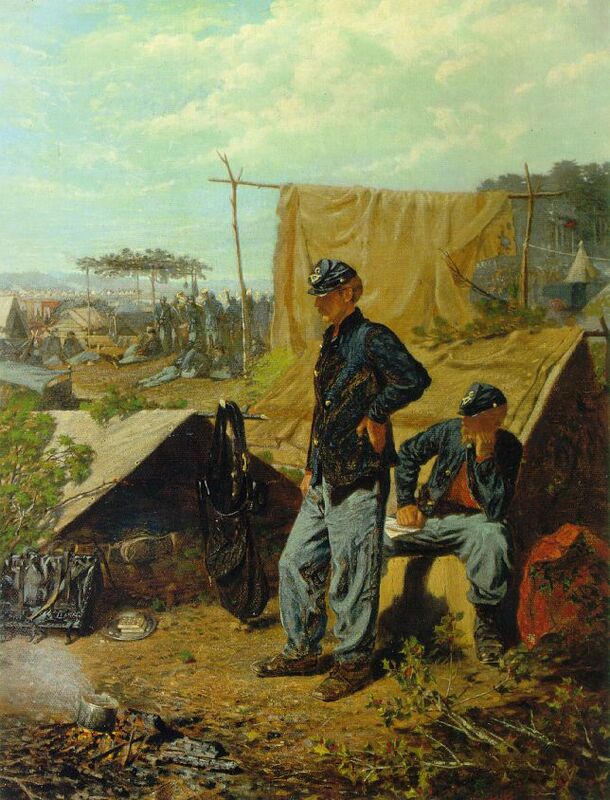 The spirit of empathy is at the heart of Home Sweet Home (c. 1863), an early work by the American artist Winslow Homer (1836 – 1910). One of the leading painters of his time, Homer excelled at illustration, watercolor and oils. It’s a surprise to discover he was largely self-taught, and that he came to art late, having worked first as a commercial print-maker. This picture was exhibited early in 1863 and marked the start of Homer’s art career. He’d visited the Front in 1861 and 1862 as an artist-correspondent for Harper’s Illustrated so it’s a scene he’s seen for real. 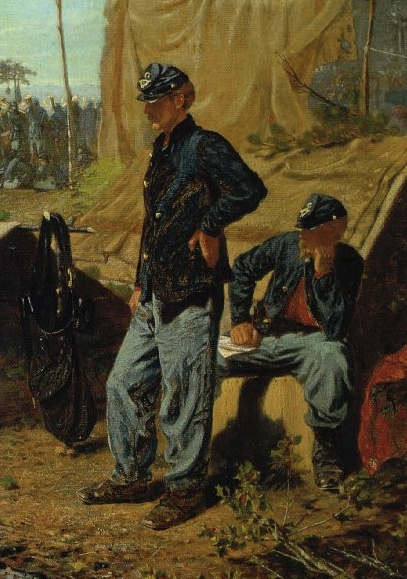 Two union soldiers listen as the regimental band plays “Home, Sweet Home.” This is painted in oils, so the colors show saturated strength. There’s impressive modeling on the figures in the foreground and believable recession into the middle ground, where there are more soldiers gathered around. Homer picks out realistic details, such as the pot steaming on the hot embers, the bag slung on a stick and the foliage in the foreground. The composition is neat and ordered – the standing figure hits just off center, his vertical line picked up by the two upright poles behind. Horizontals run through the tents and horizon. The blue on the left in the many men is balanced by that on the right in the sitting man.